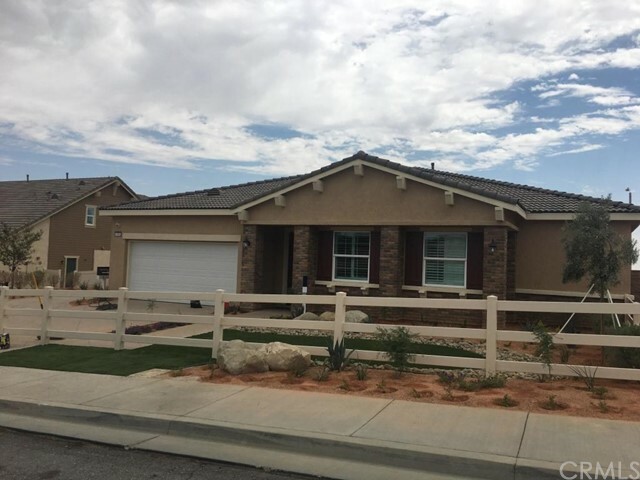 All Palmdale homes currently listed for sale in Palmdale as of 04/19/2019 are shown below. You can change the search criteria at any time by pressing the 'Change Search' button below. 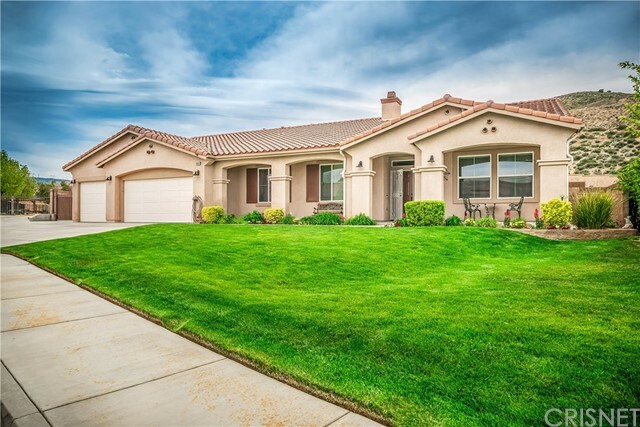 If you have any questions or you would like more information about any Palmdale homes for sale or other Palmdale real estate, please contact us and one of our knowledgeable Palmdale REALTORS® would be pleased to assist you. 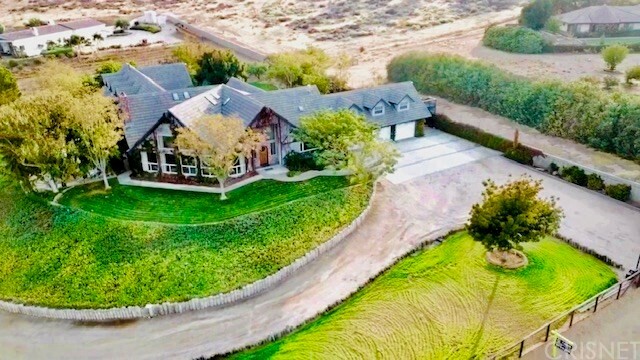 "This Ranch is like something you would expect to find in Malibu, but it's right here in Palmdale. Yes! The ambiance this ranch has will transport you to anywhere. This spacious, unique, custom home sits on over 2-1/2 acres of professionally landscaped and developed property with nice mountain views. The home has a paid off $80,000 Solar System! With a brand new 2nd house, nick named, The Farm House, built in 2019, there is room for everyone and then some! The main house has 5 spacious bedrooms. There is also an office which has a closet so it can easily be used as a 6th bedroom. The Farm House has 2 bedrooms and 2 full baths and is 2,008 square feet including the garage and has its own address! This ranch is anything but boring with its huge resort-like backyard. Warning, when family and friends come over to your Exclusive Private Family Compound, they won't want to leave! 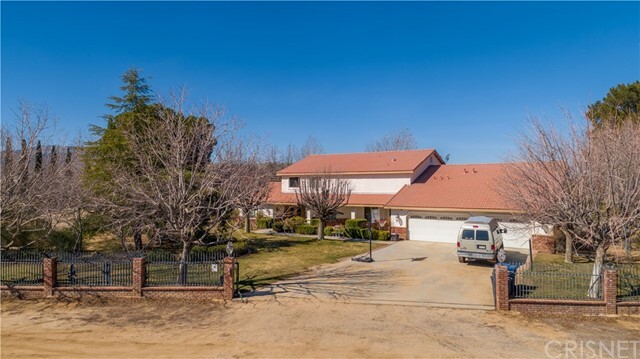 Come see for yourself all that this ''Malibu like Ranch'' in in Palmdale has to offer your family." "VIEW VIEW VIEW!!! Absolutely stunning custom estate home on 2.5 acres. The 4 bedrooms and 4 baths are all on the entry level with an office. This grand estate boasts amenity after amenity. A grand entrance, sunken formal living and dining room, vaulted ceilings, an atrium with mature vegetation, waterfall, koi pond, and sitting bench. Brand new CHEF kitchen with granite, upgraded built in Thermador appliances, double oven , ice maker, Teppan grill, gas fire place, eat in bar, wine drawer and an attached family room retreat. Game room with full bar, wood burning stove, and a library. Have a family movie night in the theater or dance in the dance studio. Beautiful landscaping, chicken coop, horse property, outdoor BBQ, 2100 Sq Ft barn (garage), 3 car attached garage, and fully paid SOLAR!!!! Home also has SMART HOME TECHNOLOGY. This home really has it all an absolute must see." "The Exquisite Luxury Home In West Palmdale, sits on 2.5 acres of usable property just behind the automatic custom steel gates. Magnificently remodeled in 2015 to include New plumbing, electrical wiring/panels, lighting, tile roof and much, much more! A Grand Master Wing is one of the spectacular additions which showcases cathedral ceilings, en-suite bathroom and Huge walk in closet. A covered parking structure was also added with speakers & sub-woofers and sits on the South side entrance to the home. The Gourmet Kitchen features custom cabinets, 6 burner double over stove, walk-in pantry, sub-zero refrigerator and LARGE kitchen island. The Pi ce de r sistance of this home however is the Just Completed-April 2019 resort style backyard that showcases a spectacular pool/spa and 1100 Sq Ft Pool House with indoor living area, full bathroom pool equipment indoor storage area and covered patio where the beams are encompassed into the pool. Note: Square Footage shown includes (250 Sq ft living area in Pool House which incorporates 5th Bathroom and can be used as the 5th Bedroom." 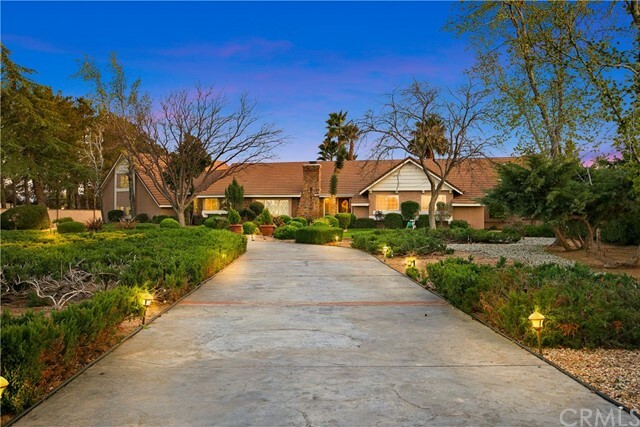 "Amazing Estate Home on ''Private'' Cul de Sac .85ac Lot with Every Amenity you could want! Over 5400sf Home. 6 Bedrms + Step Up Office, 5 Full Baths-3 EnSuite. Huge Loft. Formal Living/Dining w/ Dramatic Pillars. Family Rm w/ Builtins & Fireplace adjacent to Remodeled Kitchen. Rich Countertops. New Upper Antiqued Cabinets, High End Stainless Appliances, Crown Molding. Granite Wet Bar. Tile & Wood Floors. Nest. Camera System & More. Huge Master Suite w/ FP, Sitting Area, French Doors to Balcony w/ Breathtaking View of Yard & Valley. You enter front Wrought Iron Gates to your private estate beautifully landscaped, lots of parking & your orchard. The back is Resort-Like! Custom Pool/Spa w/ Slide, Waterfall. Cabana w/ Outdoor Kitchen/Bar. Basketball Court. Jogging Trail. RV Parking. A Rare Find." "Amazing house on huge Lot! 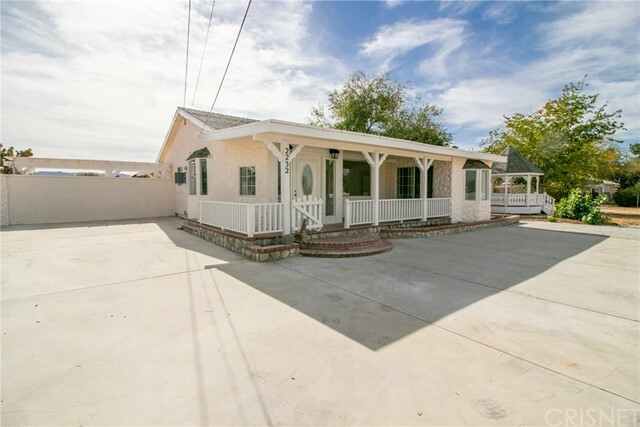 This house is located in west Palmdale near the mall, schools, shopping, parks and much more. Most of the house has hard wood floors, also travertine tile and carpets in bedrooms. Kitchen has all stainless steel appliances with granite counter tops, double oven, pantry, big center island and much more. There is a bedroom downstairs with a full bath. Large Living room with an amazing design on the roof and also a bar area. Master bedroom with a huge closet and a beautiful bathroom. Home comes with a water softener system and electric pool cover. Home sits on 2.5 acres. Amazing backyard to entertain as many people as you want. Big pool with a Jacuzzi. There big and small cages in backyard. SO much more, that you have to come see for your self!" "Spectacular West Palmdale Beauty on 2.5 acres! This property has it all. Detached office/guest quarters (appox. 600 sf) with half bath, 2 rooms, 3 car garage and 3 additional rooms great for storage. Also a 3200 sf. workshop, block walls, gated horseshoe driveway, covered front and rear porches, in-ground pool with an outdoor bathroom. The main house has 5 bedrooms, 3 baths, 2952 SF, separate living room, family room each with fireplaces & heatilators, separate dining area, kitchen breakfast bar and walk-in pantry. The home has ceiling fans and plantation shutters thru-out, tile flooring, granite counter tops in kitchen, baths and laundry room. Kitchen cabinets have self closing doors and pull-out shelves, 3 A/C units, Large spacious bedrooms with mirrored closet doors and 1 bedroom has built in desk and shelving. Words can't nearly do this property justice, so come take a look." 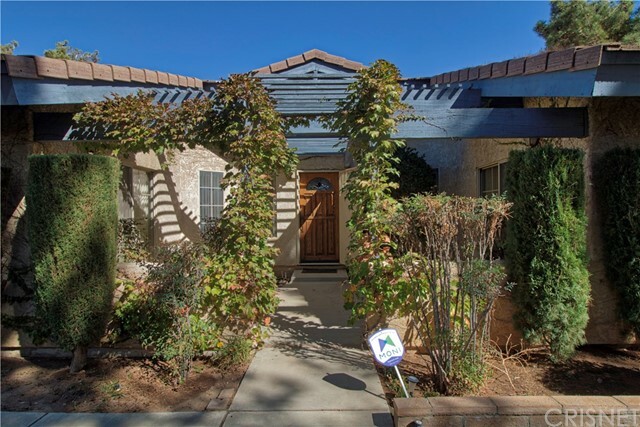 "Custom built home with view of the Antelope Valley and Lake surrounded by verdant 2 acres in exclusive Anaverde Hills. Open floor plan of living room, dining room, kitchen and breakfast area. Light streams thru massive windows and sliders, which overlook the outdoor entertaining terrace, garden and outdoor kitchen. Ideal setting for intimate or large parties. En suite Media/ 4th bedroom with fireplace opens to a private patio. Large Master suite with fireplaces includes sitting/ family room. The children's/ grandparents/guest wing has 2 bedrooms, enclosed solarium, bath, dining area, family room and wet bar. Elevator access to all areas. Meandering walkways to gazebo, garden and fruit trees. Room for horses, pool, tennis courts and recreational vehicles. Gated entry, 4 car garage with additional parking." "***LIVE BEAUTIFULLY! *** Custom-Built Oasis Estate w/ Panoramic Views Of The Entire City! With All the Finest and Tasteful Materials and Details Throughout, This Quality Crafted Masterpiece Is One of The City's Best Kept Secrets! High Ceilings Upon Entrance w/ An Open Floor Plan. Crown Molding & Plantation Shutters Enrich The Home. Massive Family Room w/ Surround Sound, A Built-In Entertainment System, And A Fireplace w/ Views Everywhere! The Gourmet Chef's Kitchen Boast Granite Countertops, A Walk In Pantry, Upgraded Monogram Stainless Steel Appliances, A Large Center Island w/ An Overlap For Bar Stools And Even More Views! The Master Suite Showcases A Double Door Entrance, Its Own Private Fireplace, A Jetted Therapy Tub, Stone-Tiled Shower, Walk-In Closet, And Its Private Door Leading To The Backyard. The Resort-Style Backyard Is An Entertainer's Dream And Is Perfect For Creating Many Memories With Friends And Family! The Custom Pool Features An Oversized Spa, Waterfalls, A Waterslide, Diving Rock, And A Beach Entrance! The Backyard Also Has A Covered Patio, Palm Trees, Gas Firepit, Grass Areas, And Built In BBQ! Don't Forget The Oversized 3 Car Deep Garage with Gated RV Access! This Custom-Built Oasis Dream Home, Built w/ 2 x 6 Construction, Is A Must See!" 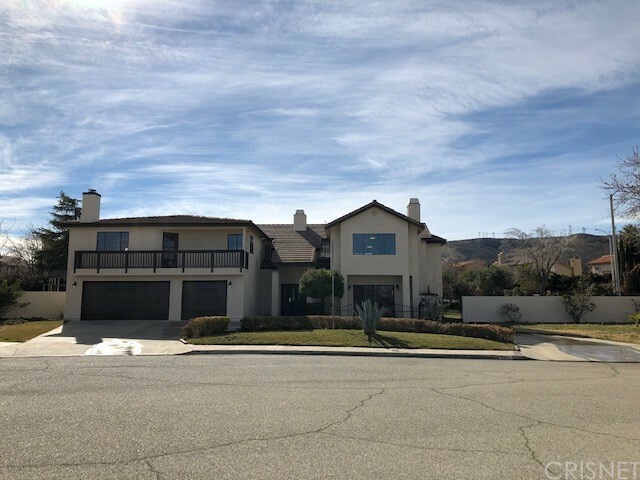 "Magnificent Custom Home boasting almost 4800 sq ft built in 2007 located in Palmdale Hills is ready and waiting for you!! This great property features over 2.1 acres of flat usable land that is zoned PDA1 for Equestrian Residential and Low Density/Agricultural Residential too!! This spectacular home looks like a king's palace as you are greeted by block walls with wrought iron fencing abound! Enter through your double doors into a grand foyer and beautiful split staircase! There are 5 bedrooms and 5 full bathrooms but there are 2 additional rooms that can be used as a 6th and 7th bedrooms if buyer so desires! Wonderful open floor plan also has formal living room with cozy fireplace and large formal dining room too! The family room opens right off of the kitchen which is perfect for entertaining! Gourmet chefs kitchen with granite counter tops and top of the line appliances too! There is a super convenient upstairs laundry room and a 4 car garage! Don't miss the covered patio area and private balcony/deck off of the master bedroom!! Great corner lot gives you plenty of options for access to your backyard where it is ready for your imagination! Go see this one of a kind home today before it is sold!!" "If Your Looking for Paradise in the Valley Look No Further!! This Enchanting Pool Home Estate is Designed for Large-Scale Entertaining. Five Bedrooms & Three Full Bathrooms Featuring the Finest Details & Materials Throughout. Formal Entry Way, Formal Dining Room and Living Room, Perfect for Entertaining. The Family Room Opens Up To The Enormous Gourmet Kitchen. The Stunning Kitchen Offers Granite Countertops with Back Splash, an Enormous Island w/ a Breakfast Bar, NEW SS Appliances, & an Abundance of Cabinets for Storage, Dining Area in Kitchen & an Attached Desk Great for Multi Tasking. The Master Suite Showcases High Ceilings, Upgraded Ceiling Fan, & a His/Her Walk-In Closet. Master Bathroom Features Dual Sinks, Vanity Area, Separate Garden Tub & Shower. This Home Showcases Four Additional Bedrooms & Two Full Guest Bathrooms. The Backyard Offers Complete Privacy, an Entertainer's Delight Featuring a Custom Designed In-Ground Pool and Spa. 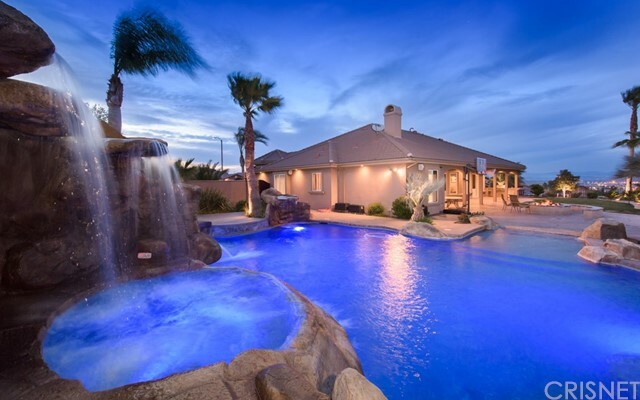 This Gorgeous Pool Features a Gorgeous Waterfall & Color Lights, & has also been plumbed for Solar Heat. Additionally, You Will Find a Beautifully Designed Outdoor Kitchen, Covered Patio, & Fully Landscaped Lush Grounds Featuring Exotic Greenery Planted in a Strategic Location. Attached 3 Car Garage with an Enormous Paved RV Access, & Newly Painted Gates. Upgrades Galore! This is Truly Paradise!!" 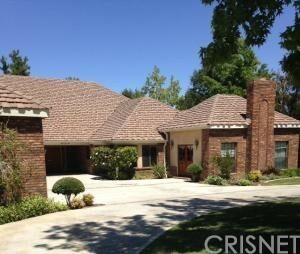 "Charming sophisticated custom built grand luxury home located in the exclusive gated Godde Hills Estates. Comfortable and elegant with quality craftsmanship. 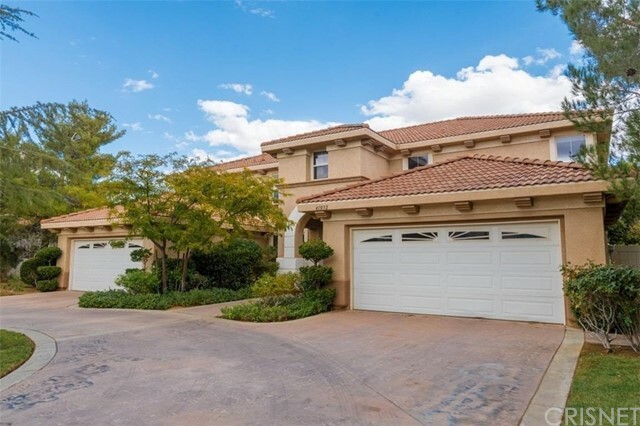 Stunning home with rich oak flooring, crystal chandeliers with high vaulted ceilings. Gourmet kitchen with double ovens, warming drawer, trash compactor ,center island, granite counters, chefs style stove plus a walk in pantry and plenty of cabinets. Grand entrance to a formal living room and stunning huge formal dining room. Master bedroom with sitting room and fireplace with an incredible bathroom with large soaking tub. Plus another master suite and loft upstairs. Main floor office and library with rich oak shelves and cabinets. In door laundry, french doors throughout. 3 car garage with plenty of storage and breeze way. Just a stunning home." 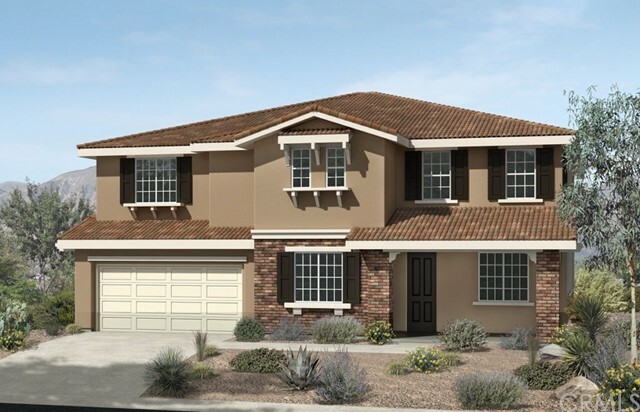 "New Construction By Pacific Communities Builder Antelope Valley's No. 1 New Home Builder. 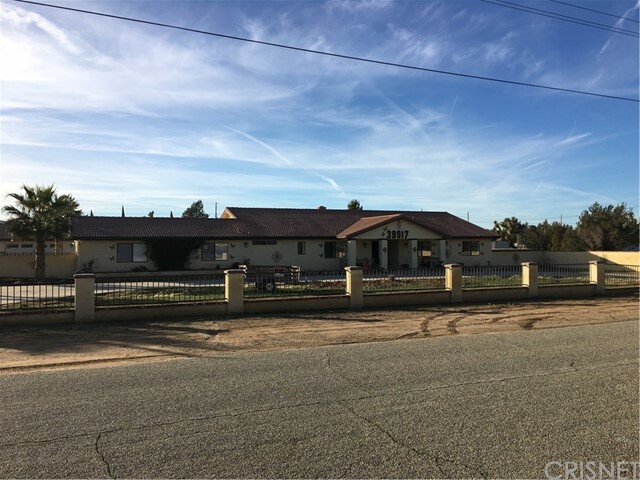 *Desirable West Palmdale location with view lots, large corner home site, space to build a pool or accommodate an RV/Boat. NO HOA or Mello Roos. Spacious Open Floorplan, plenty of windows throughout for natural light. Standard features include Energy Efficient Tankless Water Heater, Stylish Granite or Quartz Countertops, G.E. Stainless Steel Appliances, Maple Shaker Coronado, White Cabinets, 9'0 Ceilings throughout, Vaulted Ceilings in the Formal Living Area, Bull nose Corners, and Dual Sided Fireplace. Come by to view. Attached pictures of Plan 3 Model for example only, not representative of the home, but for ideas on"
"New Construction By Pacific Communities Builder Antelope Valley's No. 1 New Home Builder. 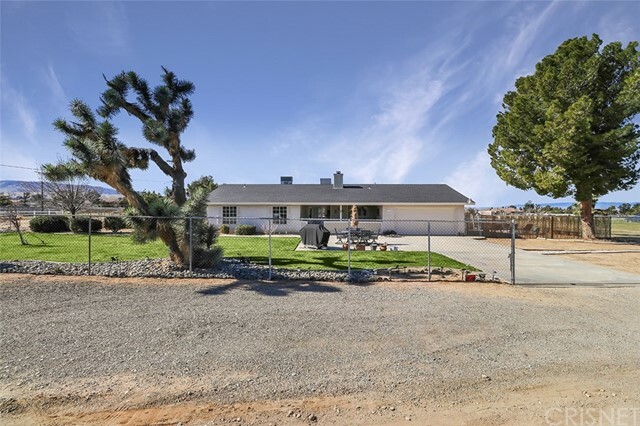 *Desirable West Palmdale location with view lots, large corner homesite, space to build a pool or accommodate an RV/Boat. NO HOA or Mello Roos. Spacious Open Floorplan, plenty of windows throughout for natural light. Standard features include Energy Efficient Tankless Water Heater, Stylish Granite or Quartz Countertops, G.E. Stainless Steel Appliances, Maple Shaker Coronado, White Cabinets, 9'0 Ceilings throughout, Vaulted Ceilings in the Formal Living Area, Bullnose Corners, Dual Sided Fireplace. Come by to view. Attached pictures of Plan 3 Model for example only, not representative of the home, but for ideas only." "Custom home on 2.5 acres!! This home has so much to offer, as you walk into the home you will find a beautiful formal living room with a fireplace, on your left side you will find a spacious dining room. As you proceed through the home you will find the large family room, kitchen and game room .your won t miss a thing. On the oposite side of the home you will find 3 specious bedrooms, a large Master suite with its own Master bathroom and a walk-in closet! There is also a small room that can be used as a 5th bedroom/offie. For your convenience there is an attached 4-car garage AND 20x40 shop! Not to mention a huge covered patio and the amount of space for your animal, toys and family gatherings! Come and see it, don't miss out!!" "Spectacular Four Bedroom, Four Bathroom Estate located in the gated community of Renaissance at Quartz Hill. New flooring, paint and kitchen appliances! The home is 4,713 square feet and is situated on one of the few .51 acre lots in the community. Interior amenities include a large chef's kitchen with stainless appliances and granite counters. A large formal living room, upstairs family room / loft, wet bar, generous office with built in cabinetry, and a massive master suite with fireplace and a/v wiring. There are two attached two-car garages with a circular drive that makes a convenient access to the impressive covered entry. This home has so many great features and is waiting for you!" "New Construction by Pacific Communities New Home Builder. ''Antelope Valley's No. 1 New Home Builder'' Welcome home! 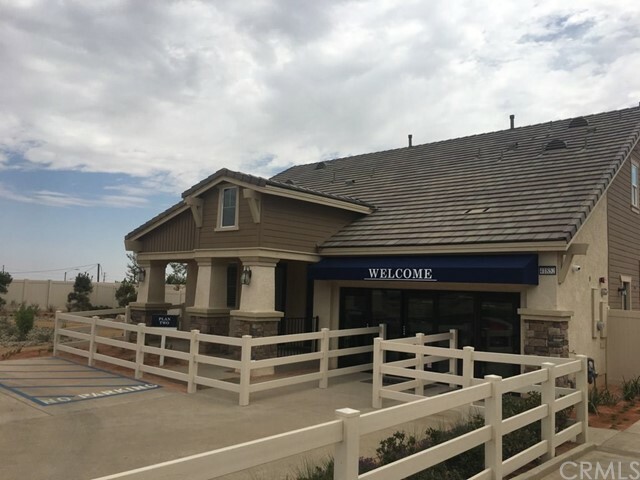 Pacific Magnolia offers a two-story open floor plan with a Mother-In-Law Suite within a Desirable area in West Palmdale. Our Brand New Homes Feature Beautiful Contemporary Kitchens and Spacious Master Suites, 4 Bedrooms, 3 Baths plus Powder Room, Great Room with Vaulted Ceilings, Loft, Stylish Granite or Quartz Countertops in Kitchen and all Bathrooms, G.E. Stainless Steel Appliances, Energy Efficient Tankless Water Heater, much more. Large Corner Lot with possible RV access, NO HOA or Mello Roos. Attached pictures of Plan 2 Model for example only, not representative of the home, but for ideas only." "Attention All West Palmdale Antelope Valley Buyers & Agents! Wait Till You See This Spectacular Gated Upgraded Super Sharp Showplace On An Incredible 2.5 Acre Lot With New Amazing Hardscape & 6 Patios! Wonderful Separate Guest Cottage With Exposed Beam Ceiling! New Central A/C & A Master Cool Fully Ducted Evaporative Cooler System Too! New Water Heater! New 16 X 32 Above Ground Sparkling 5 Ft Deep Pool! All Existing Fencing Has Been Replace & Repaired! No Expense Was Spared! Outstanding Floor Plan! Gorgeous Cooks Kitchen With Stainless Steel Appliances & Tons Of Storage! Breathtaking 800 SqFt Home Theater Great Room! Living Room With Fireplace! Marvelous Master Suite! Relax On The Fantastic Covered Front Porch! Terrific Room Sizes! 4 Car Garage! The Immaculate Enormous Grounds Include An Inviting Above Ground Spa, Huge Fully Enclosed Luxurious Dog Run, Insulated Goat Barn, Storage Shed & More! Must See To Believe! Great Location! Close To Everything! 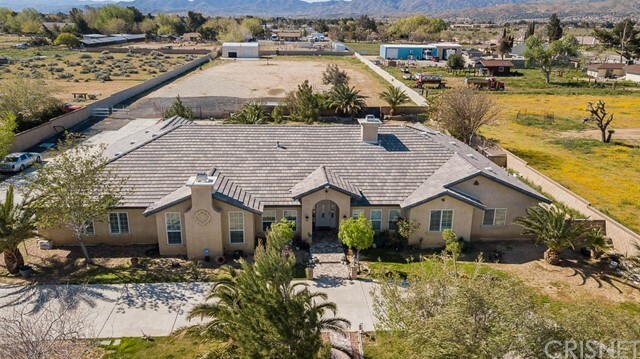 If You Are Only Seeing One Sensational Antelope Valley Home Set On An Gigantic Breathtaking Lot In The Price Range, Make Sure This Is It! Do Not Miss! Standard Sale! Must See! Antelope Valley Living At Its Best!" "New Construction by Pacific Communities New Home Builder. ''Antelope Valley's No. 1 New Home Builder'' Welcome home! Pacific Magnolia offers one story open floor plan within a Desirable area in West Palmdale. Our Brand New Homes Feature Beautiful Contemporary Kitchens and Spacious Master Suites, 3 Bedrooms, Den, Great Room with Vaulted Ceilings, Stylish Granite or Quartz Countertops in Kitchen and all Bathrooms, G.E. Stainless Steel Appliances, Energy Efficient Tankless Water Heater, much more. Large lot with possible RV access, NO HOA or Mello Roos. Attached pictures of Plan 1 Model for example only, not representative of the home, but for ideas only." "New Construction by Pacific Communities New Home Builder. ''Antelope Valley's No. 1 New Home Builder'' Welcome home! Pacific Magnolia offers One Story Open Floor plan within a Desirable area in West Palmdale. Our Brand New Homes Feature Beautiful Contemporary Kitchens and Spacious Master Suites, 3 Bedrooms, Den, Great Room with Vaulted Ceilings, Stylish Granite or Quartz Countertops in Kitchen and Bathrooms, G.E. Stainless Steel Appliances, Energy Efficient Tankless Water Heater, much more. Large lot with possible RV access, NO HOA or Mello Roos. Attached pictures of Plan 1 Model for example only, not representative of the home, but for ideas only." "Outstanding 'Semi Custom' home in prime West Palmdale location. Located on pride of ownership cul-de-sac. The home's floorplan features island kitchen, breakfast nook, dining area, formal dining room, great room, upstairs game/theatre room, 4 large bedrooms, 5 bathrooms, 3 fireplaces, walk in closets, multiple decks and patio areas, bonus room/office. Gated RV access. New interior and exterior paint. New low flow commodes and bidet. New tile flooring and quality carpeting. New granite counters in kitchen and all bathrooms. New stainless steel appliances. New mirrored wardrobe doors. New ceiling fans. Fully landscaped 20,000+ square foot lot with circular driveway, built in pool/spa, multiple grass/play areas, extensive hard scape, attractive brick work. Dual AC units. Stately curb appeal." "Whitefence Farms HORSE RANCH! Horse lover welcome home! If you are thinking about operating a boarding facility,Horse Facilities include a 60' round pen, a 50' covered round-pen, a 120' by 50' arena, three 24' by 24' stalls, thirteen 12' by 24' stalls (all partially covered with a breezeway), a foaling stall, a tack room, wash rack and hay storage. Wow describes this custom home, come and see this wonderful Single Story Home this property has too much upgrades to mention come & make it your Dream Home, Incredible views of the mountains. You will not find another home like this one in this area. This beautiful home offers a spacious floor-plan with fireplace in living room & 4 bedrooms, 2 bathrooms. A detached guest studio or a bonus room or office, game room or ETC 2,600+ square feet (Including the Guest House) of living space. New kitchen & quartz countertops & modern backsplash & modern kitchen sink & faucets. All new stainless steel appliances. New interior and exterior paint. All new electrical and modern LED lights throughout the whole house & all new energy efficient windows & high-quality laminate flooring in all bedrooms. Minutes away from all your city amenities but still have the Ranch Style feeling. Fully renovated custom bathrooms, come and start your horse boarding business this property includes horse round pend & riding arena & horse facilities like stables & house barn & corrals. Hurry this is a steal at this price! Wont last & you won't be disappointed"
"VIEWS! VIEWS! VIEWS! Located in a secluded neighborhood end of a cul va sac. Gorgeous Single Story Family ranch style on almost an acre with Covered RV carport with storage unit. The gourmet kitchen was remodeled in 2014 granite counter tops, Large walk-in pantry Huge kitchen storage area and counter top. A chef's dream! Kitchen overlooks spacious family room with fireplace. Breakfast nook off kitchen and own view/ access to rear yard. Generously sized formal dining room. 3 bedrooms and Den/Office. Master bedroom has its own access to rear yard. The Master Bath was remodeled in 2016 with Rich Granite. Stunning Pool, spa, Plush green grass, shade trees, fruit trees and so much more a true entertainer s backyard. Just minutes from the 14 freeway! Great LOCATION! See drone footage of property --> https://youtu.be/NmWR6ZIOHYo"
"Welcome HOME! This recently updated one story ranch-style home boasts slightly over 2.5 acres of flat land. Bring your imagination and transform the outdoors into your desired oasis. Don't miss this unique property which offers endless possibilities. All it needs is you. The interior features of the home include four bedrooms, three bathrooms on 2,712 square feet of living space with crown molding, newer paint and an additional (roughly 300 square feet) bonus room right of the family room. Once inside the home you will feel welcomed by the natural light and an ideal open floor plan, perfect for entertaining. The spacious kitchen with granite counter tops has an abundance of cabinet space with stainless steel appliances, adjoining breakfast sitting area and walk in pantry. A large master suite offers a walk in closet and full bath. The three-car garage has plenty of room for your cars, toys and storage. Other property features include separate laundry room, two evaporation coolers along with central air/heat, a central vacuum system, private gazebo, RV hookups, and much more. Come schedule a showing and make this your dream home TODAY."